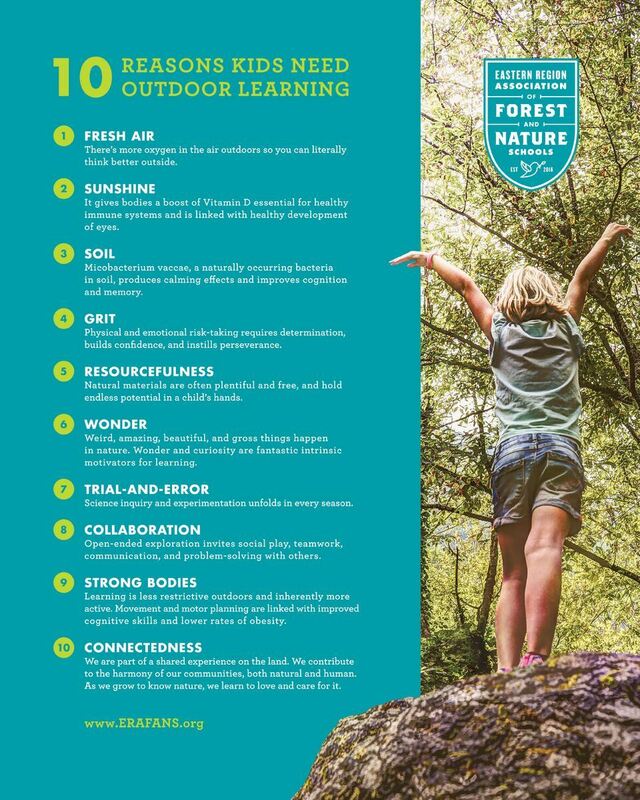 10 Reasons Kids Need Outdoor Learning! Washington State passed a bill to run a four-year pilot program that examines if WA state will ultimately license Outdoor Preschools. Learn about the bill and the read bill as enacted. You can do something like this in your state, too, especially with the help of other advocates in your ERAFANS state chapter. Best Day Ever, a video that highlights outdoor learning in Vermont public schools. UK Forest School Principles, a blog post that highlights how to incorporate them into your curriculum.